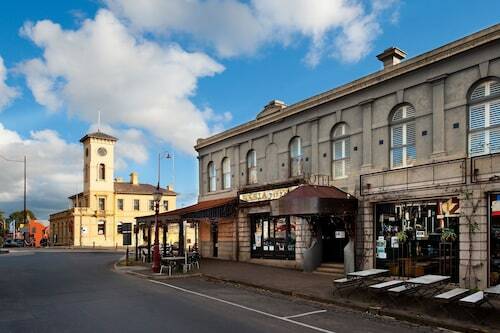 Situated in Daylesford, this hotel is within 1 mi (2 km) of Daylesford Regional Visitor Information Centre and Lake Daylesford. Daylesford Museum and Cultural Centre and Wombat Hill Botanic Gardens are also within 1 mi (2 km). Daylesford Station is 15 minutes by foot. Located in the heart of Daylesford, this motel is within 1 mi (2 km) of Daylesford Regional Visitor Information Centre and Lake Daylesford. Daylesford Museum and Cultural Centre and Wombat Hill Botanic Gardens are also within 15 minutes. Daylesford Station is 11 minutes by foot. 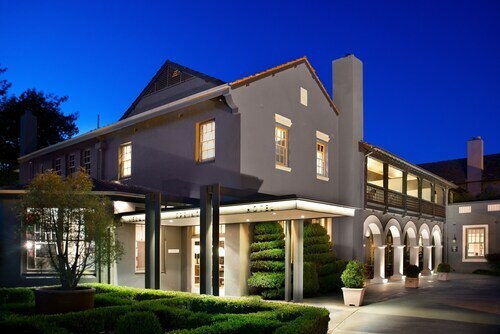 Located in the heart of Daylesford, this boutique hotel is within a 15-minute walk of Daylesford Regional Visitor Information Centre and Lake Daylesford. Daylesford Museum and Cultural Centre and Wombat Hill Botanic Gardens are also within 15 minutes. Daylesford Station is 17 minutes by foot. Situated on a lake, this spa hotel is within a 10-minute walk of Daylesford Museum and Cultural Centre and Lake Daylesford. Daylesford Regional Visitor Information Centre and Wombat Hill Botanic Gardens are also within 1 mi (2 km). Daylesford Station is 28 minutes by foot. Situated in a rural location, this spa hotel is 0.4 mi (0.7 km) from Hepburn Bathhouse & Spa and 3 mi (4.8 km) from Lake Daylesford. Hepburn Mineral Springs Reserve and Hepburn Springs Golf Course are also within 15 minutes. Situated in Daylesford, this luxury guesthouse is within 1 mi (2 km) of Daylesford Regional Visitor Information Centre and Lake Daylesford. Daylesford Museum and Cultural Centre and Wombat Hill Botanic Gardens are also within 15 minutes. Daylesford Station is 13 minutes by foot. 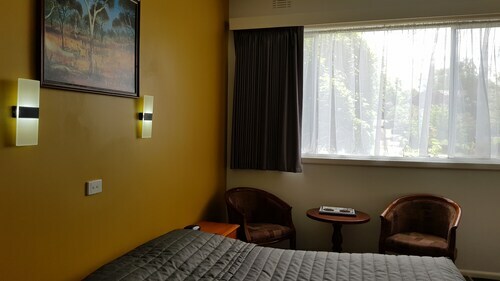 Located in the heart of Daylesford, this motel is within 1 mi (2 km) of Daylesford Regional Visitor Information Centre and Lake Daylesford. Daylesford Museum and Cultural Centre and Wombat Hill Botanic Gardens are also within 1 mi (2 km). Daylesford Station is 20 minutes by foot. 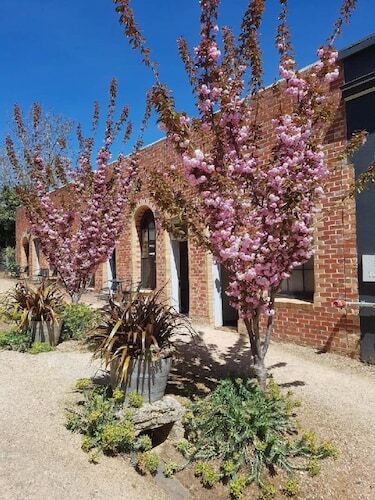 Situated in the historical district, this luxury guesthouse is within 1 mi (2 km) of Daylesford Regional Visitor Information Centre and Lake Daylesford. Daylesford Museum and Cultural Centre and Wombat Hill Botanic Gardens are also within 15 minutes. Daylesford Station is 13 minutes by foot.